Update: It looks like the VIZIO machines have been delayed, by one accountÂ until the end of September. I know that WalMart has put them on a backordered status, and Costco told me that they’ve been delayed until the end of this month (and that was as of a week ago). Judging by a couple of users who have a VIZIO machine, there may be some issues with them that require fixing before they’re launched more broadly. The lack of reviews by the mainstream tech sites have me wondering just what’s going on with the machines. Update 2: Some folks have had their Walmart orders updated for delivery this week (7/9/2012), so the uncertainty around the launch remains. 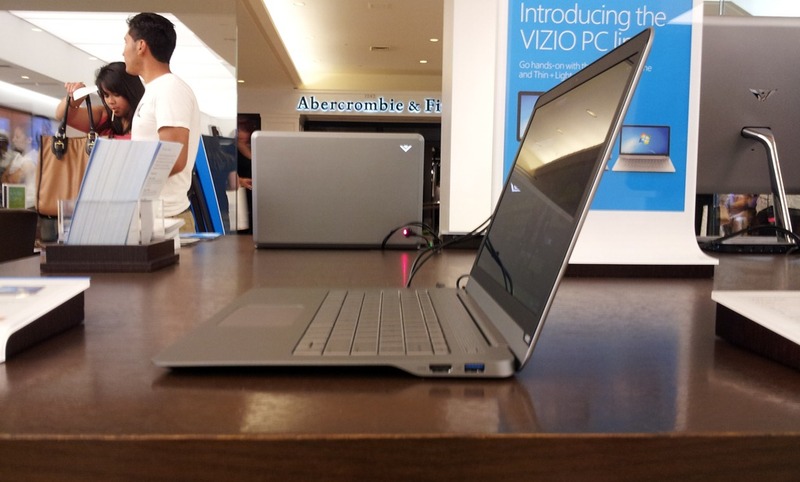 I stopped by the Costa Mesa, CA Microsoft Store yesterday afternoon to check out the new VIZIO line of notebooks and all-in-one PCs at their launch event, and came away impressed. Here are some initial thoughts on the notebooks in particular, much of which also applies to the all-in-one desktop machines. VIZIO has clearly been working hard to knock this whole PC thing out of the park. Everything I touched exuded quality and durability, from the 14” Thin+Light Ultrabooks (the jury is out on whether or not VIZIO is going to use the term) to the 15” notebookÂ Thin+Light to the various all-in-one machines. Fit and finish was excellent, the design was simple and elegant across the board, and I never felt like I was touching a bargain product. The 14” in particular was both solid and light, with zero flex, fingerprint-free surfaces, and a nice rubberized material along the bottom. Some people have said the machines look like the MacBook Air, but other than being relatively thin, I don’t see it. I think VIZIO has created their own unique look that sets them apart, and I like it quite a bit. 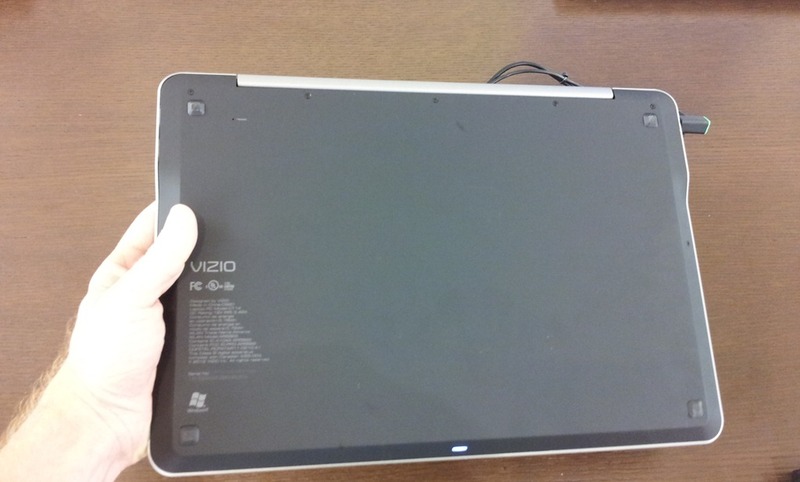 I spent the most time looking at the 14” Thin+Light, because I’m currently in the market for a new, well, thin and light notebook, and from what I could see in the brightly lit Microsoft Store, VIZIO has definitely applied their expertise and supply chain strengths in HDTVs to their new PC line. The 14” screen (and really, this applies to all of the machines I looked at) was plenty bright, had excellent colors and contrast with nice, deep blacks, and possessed good viewing angles. In addition, the 1600X900 resolution seemed perfect at the 14” size, while 1920X1080 was also well-suited to the 15.6” screens. My eyes are getting older and I struggle with too-high resolutions, and this seemed just about right. Suffice it to say that the screens are a real strength across the VIZIO line—they’re competitive with any other recent notebook I’ve seen, including those on the 2012 MacBook Airs. I’m very particular when it comes notebook keyboards, being a relatively fast typist but one whose productivity can be seriously impacted by a keyboard with insufficient travel and/or a too-stiff mechanism. I prefer a light, nimble feel with decent “clickiness,” meaning some kind of tactile feedback. An example of a really bad keyboard for me are the ones on the ASUS UX31E Ultrabooks, which are too stiff with too little travel, and the very short keyboards on the Samsung Series 9 Ultrabooks. A very good keyboard is the one shared by all of today’s MacBooks. That said, VIZIO has gone with a bit of a throwback design across their entire line of PCs, eschewing the typical chicklet island-style keyboard first made popular on Apple’s notebooks and utilizing a flatter keyboard that better fits the machines’ overall design aesthetic. The good news is that the keyboards felt great to me, with a nice light mechanism that still provided good feedback. I was pretty much instantly productive, able to type quickly and without error. I’d rank the keyboards somewhere between the UX31E at the bottom and the MacBook Pro at the top—and much closer to the MacBook Pro. The only negative to the keyboards was a tiny amount of flex—not as bad as some, including the UX31E, but still there if you push hard enough. Flex wasn’t noticeable during normal typing, however. A great deal has been made by VIZIO of their efforts to improve the Windows trackpad experience, and I’m happy to say it shows. Whereas the keyboard falls closer to the “good enough” category, the trackpad worked better than on any other Windows PC I’ve used. I spent quite a bit of time using the one on the 14” machine, and was very pleasantly surprised. First, the trackpad had a surface that provided enough tactice feedback but was smooth enough to be comfortable. I’d say, it felt as good as the ones on modern MacBooks. Second, overall tracking was accurate and quick, and palm rejection seemed perfect. Third, and most surprising, multi-touch gestures actually worked. Two-finger scrolling was smooth (unlike the usual stepped scrolling with some other Windows trackpads), and pinch-to-zoom worked quickly and consistently (although, oddly, it was stepped). Incidentally, this all applies to the other VIZIO trackpads I tried, including the ones that come with the all-in-one machines. I won’t say the VIZIO trackpad is as good overall as Apple trackpads are in OS X, because they don’t provide as much functionality, but they’re better than any other Windows machine I’ve used (including MacBooks running Boot Camp). If trackpads matter to you, you’ll be happy with the VIZIO machines. Update: In the same forum thread I link to above, it seems like not everyone has been as impressed with the trackpad as I was during my initial hands-on. So, I’ll have to step back from my euphoria a bit and say: make sure you get some hands-on time with a VIZIO machine before deciding if it’s right for you. Of course, that’s generally good advice, and not specific to VIZIO. VIZIO partnered with Microsoft on making Microsoft Signature builds of Windows 7. What that means is that they’re completely bone-stock, with no added bloatware or trialware, and Microsoft tuned the OS for the hardware. I couldn’t benchmark the machines, of course, but from what I could tell, performance was what you would expect for a quality machine with good tuning. I did some informal timing on boot and wake times, which came out to around the Ultrabook average of about 25 seconds or so to fully boot and two seconds to wake up from sleep. Those aren’t Earth-shattering results, but they’re plenty good enough. I was told by a number of Microsoft representatives at the event (I couldn’t seem to corner any of the VIZIO staff) that the notebooks all use completely passive cooling. That is, they draw in cool air via vents along the back beneath the hinge, and don’t have any fans. If true, and if it works, that would be pretty significant news—the machines would be completely silent no matter the workload, more like tablets than notebooks in this regard. I couldn’t verify the truth of these statements, because the room was far too loud to determine whether any fans were running. And, it does seem too good to be true. After all, Ivy Bridge is more efficient and likely runs cooler than previous Intel mobile chipsets, but is it capable of runningÂ that cool with only passive heating? With additional smart innovations, like concealed passive heat venting that eliminates unnecessary grills and fans, the Thin+Light takes innovation and engineering to new heights. Ingenious innovations, like an innovative venting system that pulls in cool air through its display hinges, result in a more efficient design that doesn’t compromise performance and reduces the need for noisyÂ fans or ugly grills. When it comes to what I was told at the event, these descriptions raise more questions than they answer. Â Does “eliminates unnecessary… fans” (emphasis added) mean the same thing as “eliminates all fans.” And, what does “reduces the need for” mean here? Reduces to zero, as in no fans or grills, or are there merely fewer of them? We’ll know the answer to these questions soon enough, but the reason I’m getting so precise here is this: truly passive cooling in an Ultrabook would be a game changer. As it is, the bottom of the notebooks have no vents, which is a great feature if you like to use your notebooks on top of blankets and such. But for anyone who uses their notebooks in quiet environments (like myself), having no fan would be a significant advantage. Personally, I’d choose the VIZIO over any other notebook for this reason alone. 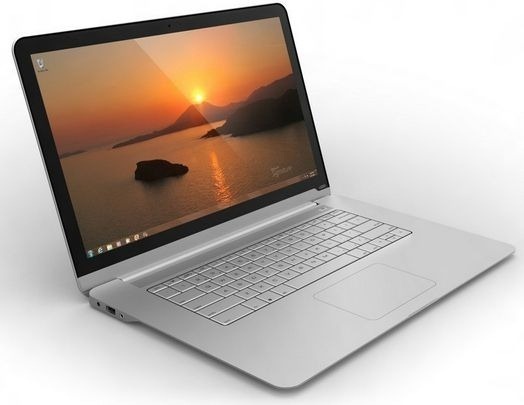 I’ve been conducting a great deal of research into the Ultrabook and MacBook Air products announced since Intel released Ivy Bridge, and that are available now or coming within the next 30 days. Having put my hands on the VIZIO 14”, my mind is about 95% made up—I’ll likely be getting one as soon as it shows up at Costco, my preferred place to buy electronics. The only remaining question is whether I should consider a MacBook Air, but only because having a machine to run OS X in a pinch would be a convenience. However, I’m primarily a Windows user, and reviews of the 2012 MacBook Air running Boot Camp show its Windows battery life and boot/standby performance to be questionable. Also, I’d pay $1,199 for a VIZIO 14” with 4GB and a 256GB SSD, compared to $1,499 for the equivalent MacBook Air, and would give up resolution (the Air is 1440X900) and Windows performance. I’m not sure that the ability to run OS X is worth the extra $300 and overall hit to the Windows experience. Kudos to VIZIO for hitting the ground running. I wish them the best of success in getting this new product line off the ground. This was my first visit to a Microsoft Store, and I was also impressed with the friendliness of the staff, the bright, vibrant environment, and the huge selection of different machines that were all actually working. Unlike a visit to a typical electronics retailer (cough Best Buy cough), there was not a blue screen of death in sight, nor a machine that wouldn’t startup because its battery was dead. I’d say the experience was just as good as that of the typical Apple Store, only more energetic and youthful. So, in general, kudos to Microsoft as well for making it all worth the 90 minute drive (one way). My only recommendation to whomever organized the VIZIO event is this: if you’re going to serve decent food (the mini cheeseburgers were particularly good), then make sure to have some water available. You don’t want people leaving the store just to find a water fountain—they may not decide to come back. Update: I just took a look at pricing, and was surprised to discover that the $1,199.99 14″ model with 256GB SSD includes a 1.9GHz i7-3517U processor rather than the i5 I was expecting. The entry MacBook Air with a 256GB SSD and i5-3427U is $1499, and the ASUS UX31A (the Ivy Bridge replacement for the UX31E) with an i7-3517U and 256GB SSD is $1599.99. Clearly, the VIZIO is a superior value. Update 2: I’ve been pretty effusive in my praise here, and as I’ve thought more about the products since the event I remain impressed. There are some limitations to the 14″ and 15″ Ultrabooks, however, that should be noted. First, they don’t have SD card slots, which might be important to you if you like to use a notebook to migrate pictures off of your digital camera while on the go. Second, ports in general are a bit lacking, with only two USB 3.0 ports and an HDMI port (albeit a full-sized one). 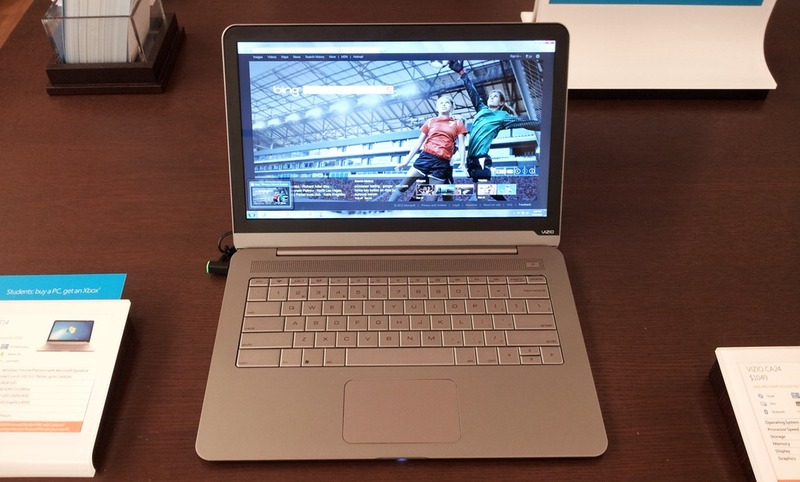 Some other machines, such as the ASUS UX31A and the MacBook Air, have additional ports and/or expansion capabilities. That’s not a deal-breaker by any means, but it’s something to keep in mind. 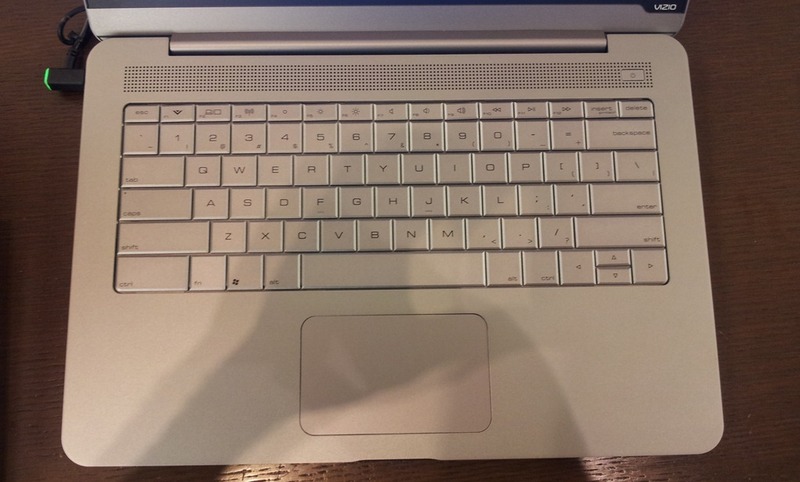 Finally, the keyboard, while excellent, isn’t backlit, which has become the standard in Ultrabooks lately.